A fabulous new fragrant primary hybrid using very select parents ! 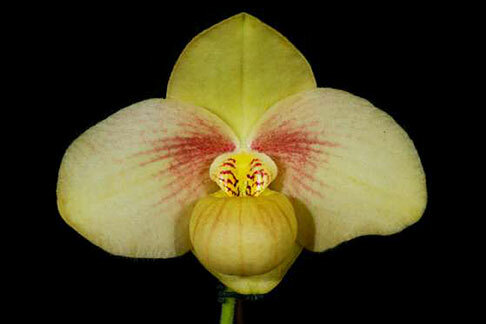 The hybridizer, Mr. Bear, is well-known for this Paph. hangianum and Paph. emersonii collections in Asia. In using two of his most exceptional parents, he has created a stunning result bearing pleasingly broad sepals and petals with well-defined markings. This is a very special opportunity for US collectors to obtain one of his extraordinary primary hybrids. Very Highly Recommended !